储珺, 女, 教授, 研究生方向为计算机视觉, 图像处理与模式识别。E-mail: chujun99602@163.com. Objective Presently, the segmentation of intensity inhomogeneous images, weak edges, and weak texture images remains a challenge. The CV model alone is not ideal for the segmentation of intensity inhomogeneous image due to using the global information of the image. In the segmentation of weak edges and weak texture images, optimization easily falls into the local optimum, leading to the low efficiency of segmentation and the sensitive selection of the initial position. Method To address these problems, a new CV model combining fractional differential and image local information is proposed for image segmentation. the algorithm first integrates fractional gradient information into the local information of the image, replacing the integer order global information of the CV model. An adaptive fractional mathematical model is then constructed according to the gradient modulus and the information entropy of the image. Using the mathematical model as basis, the optimal fractional order can be obtained adaptively. Finally, the symbol distance constraint item is added to the model. Result The CV model is an active contour model based on global information, and it works well in segmenting images with homogeneous intensity. However, the CV model is not ideal for the segmentation of intensity inhomogeneous images because it only uses the global information of the image. 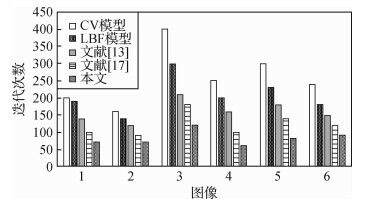 The local information in the LBF model can be used to replace the global information in the CV model, thereby solving the segmentation of intensity inhomogeneous images. We then use local information instead of the global information, handling the limitation of the CV model in segmenting images with inhomogeneous intensity to a certain extent. In addition, by integrating G-L fractional gradient information into local information, when the fractional order is between 0 and 1, the algorithm increases the gradient information in these regions of inhomogeneous intensity, weak edge, and weak texture. Doing so increasing the driving force of evolution to prevent evolutionary curve from falling into the local optimum and effectively solving the little driving force of the image for the evolvement curve due to the small change of intensity. Furthermore, when the fractional order is between 0 and 1, the fractional differential enhancement of high-frequency signals is less than that of integer-order differential pairs of high-frequency signals. Therefore, fractional differential relatively suppresses noise and has a certain anti-noise ability. Our model can solve the selection of the initial contour position and the sensitivity of the model to noise to an extent. To address the time-consuming and labor-intensive selection of the optimal fractional order, a mathematical model for calculating the optimal order is established according to the gradient modulus and the information entropy of the image, and the adaptive fractional order model is applied to the algorithm to adaptively determine the optimal fraction order. 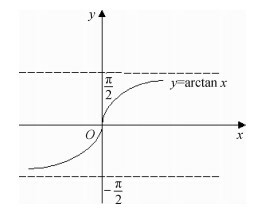 To correct the deviation of the level set function and symbol distance function and avoid the re-initialization of the model, the symbol distance constraint term is added to the model so as to improve the evolution efficiency of the curve. Conclusion Theoretical analysis and experimental results show that the proposed algorithm can segment images with inhomogeneous intensity, weak edge, and weak texture regions, improving the segmentation accuracy and efficiency. Moreover, the optimal order of fraction order derivative can be adjusted adaptively, solving the time-consuming and labor-intensive selection of the optimal fractional orders. The use of fraction order derivative can enhance the weak edge and texture regions without substantially increasing the noise signal. To verify the robustness to the initial selection of evolution curve of the algorithm, five different initial contour positions were selected for the two images, and four different noise images were tested to verify the anti-noise performance of the algorithm. 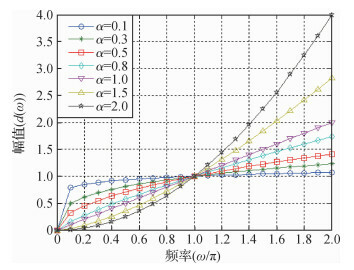 Experimental results demonstrate that our model can correct segment the target contour and has good stability to noise. Our model is robust to the initial selection of evolution curve and noise.